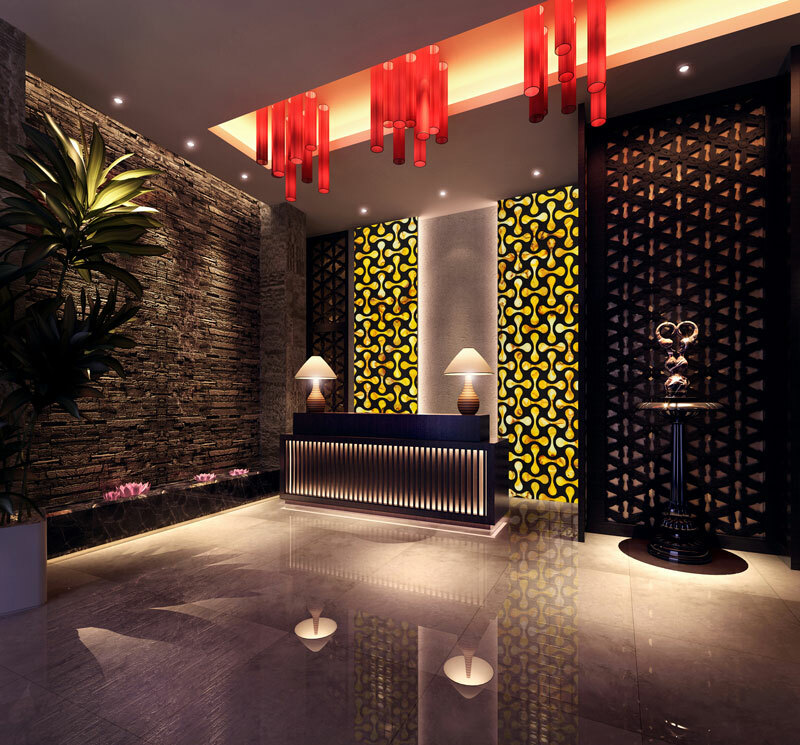 Interior design that turns heads, drops jaws and stops people in their tracks. 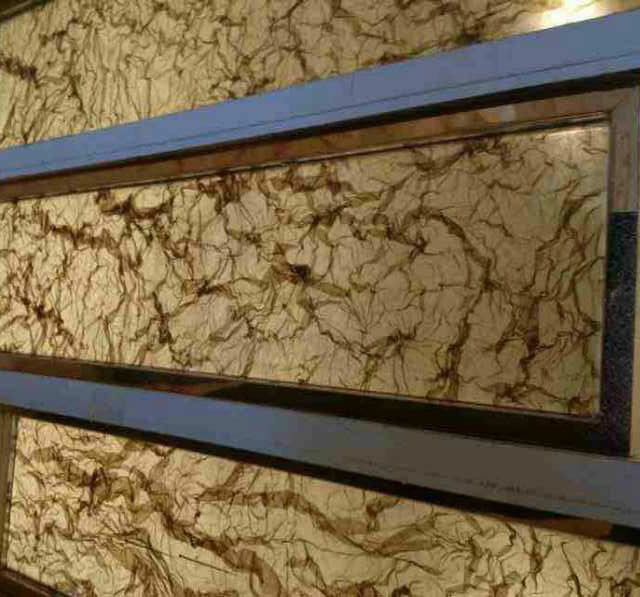 We're fortunate to have our products installed in some of the most luxury private and commercial developments in the world. Whether you stroll through Westfield, Harvey Nichols or Harrods in London, spend the night at the MGM or Venetian in Las Vegas, or unwind at the Palm Islands in Dubai or Crown Hotel in Macau, you will experience the work of Shellshock Designs. 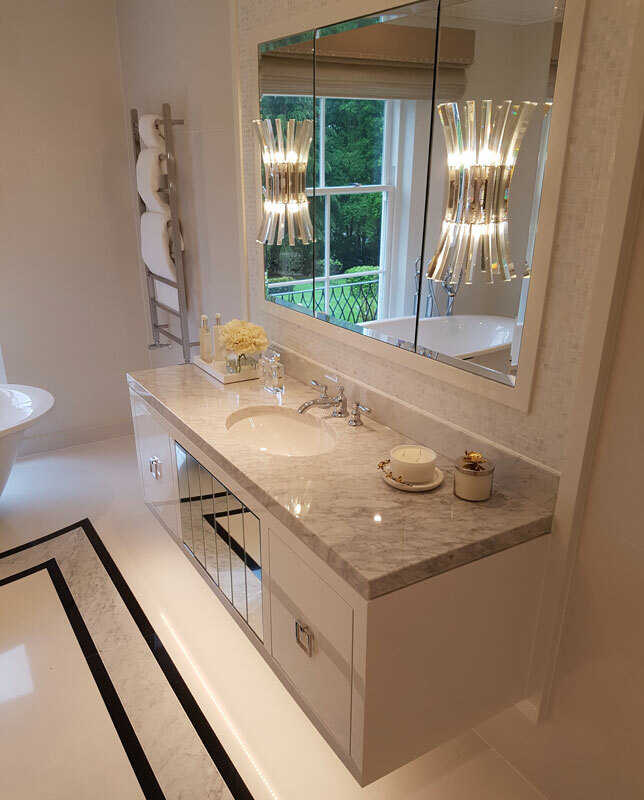 Pure white seamless freshwater mother of pearl mosaics have been used as a mirror surround by Kinorigo. 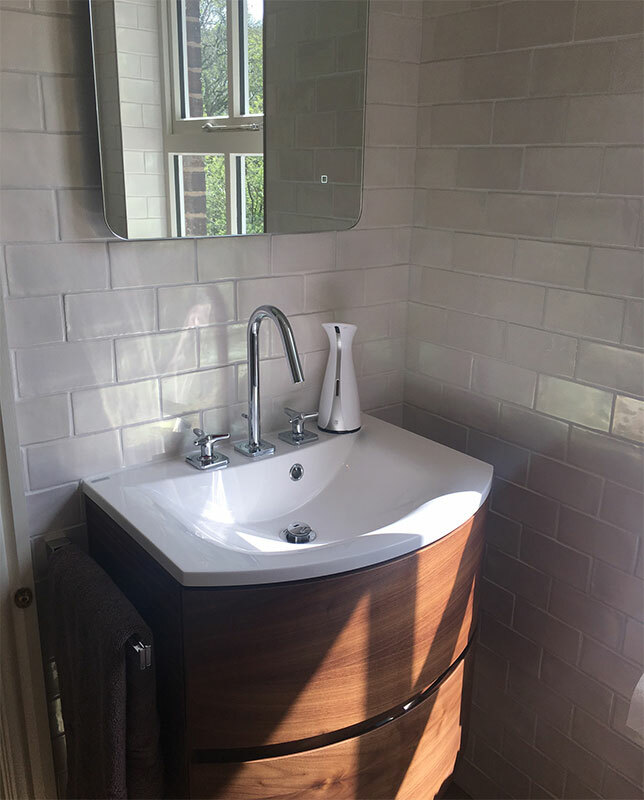 Freshwater seamless Mother of Pearl mosaics have been used at a residential bathroom project in Wigan, UK. 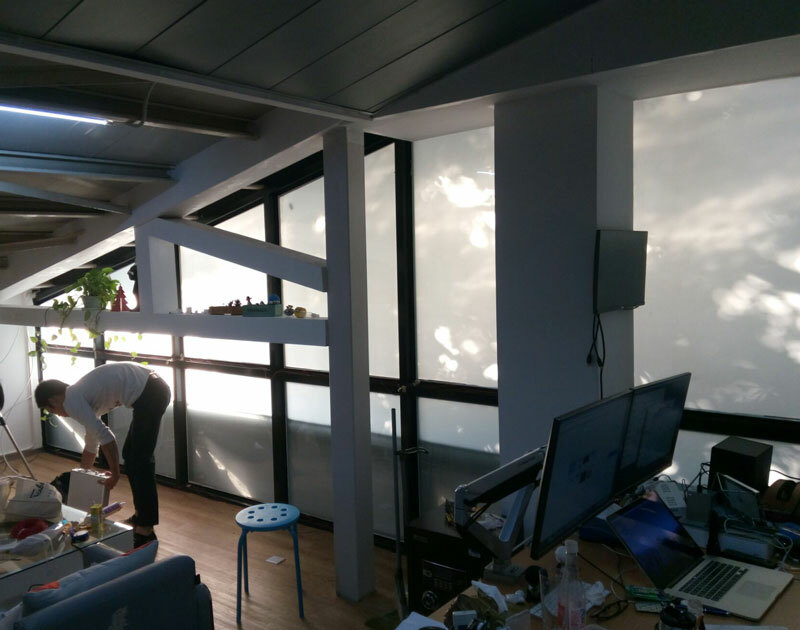 Our brand new Intelligent Glass is already being used in various projects around mainland China. 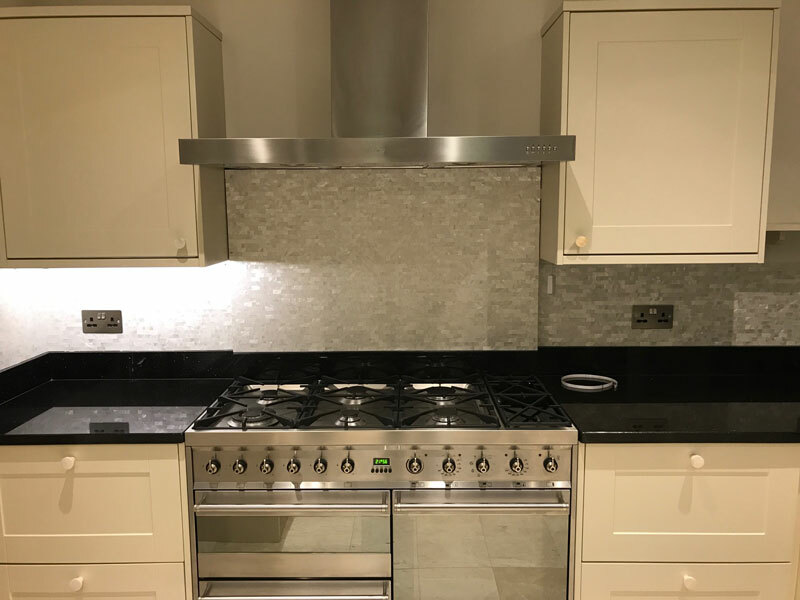 Freshwater brick Mother of Pearl mosaics have been used at this residential kitchen project in Surrey, UK. These fabric and rose petal in glass panels are currently being or have been installed in the Mumbai airport in India. 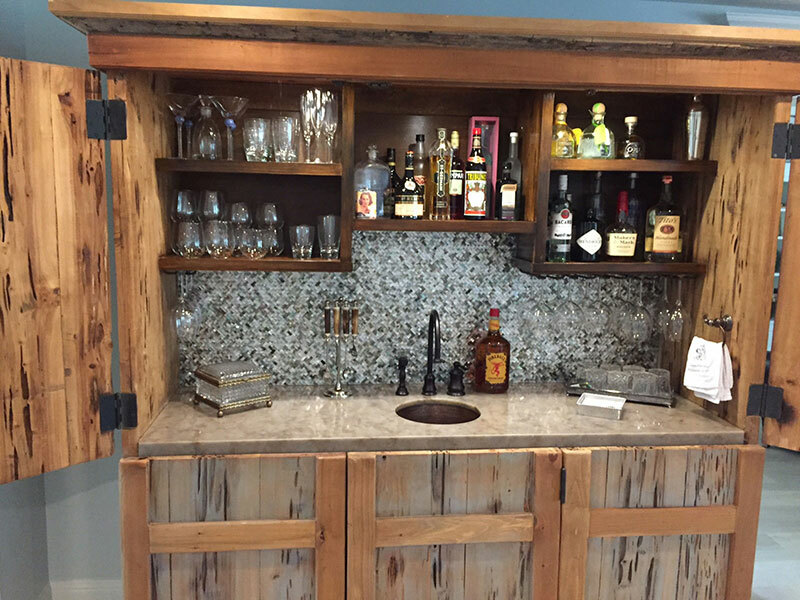 DMS Interiors have installed a black lip herringbone Mother of Pearl mosaic backsplash at this home bar in Florida, USA. Various different projects in Hong Kong and mainland China in which our brand new CNC Carving products have been used. 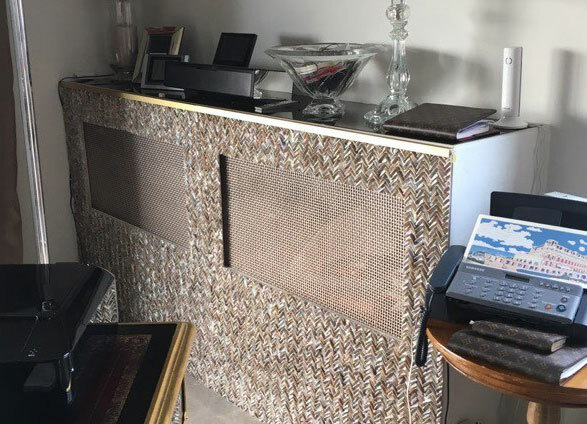 River shell teeth in chevron pattern radiator covers for a residential project in Cannes, France. 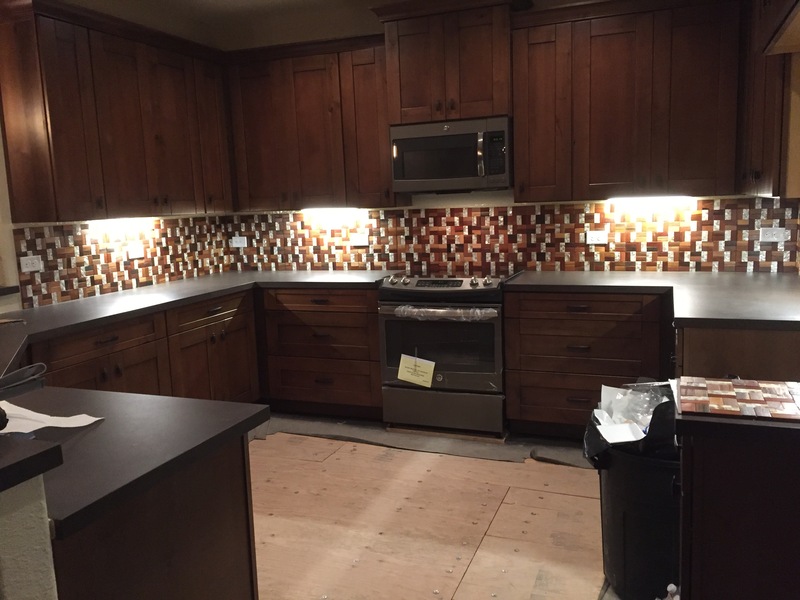 Our reclaimed old ship wood and coconut mosaics have been used by Claudia Lezell in a residential project in New Braunfels, Texas.